You must have heard words like Malice, Malignant or Malediction. One thing that is common among all of these words is that they all refer to something bad or evil. The prefix mal- is usually added to change the meaning to negative and refers to bad, unpleasant or unsuccessful things. It can be explained by the origin, where mal- comes from Latin root male which means ‘badly’, and a mnemonic you can use to remember it is that males are bad, just kidding we are not against the male species. After experiencing severe maladies during pregnancy she gave birth to a malformed infant. 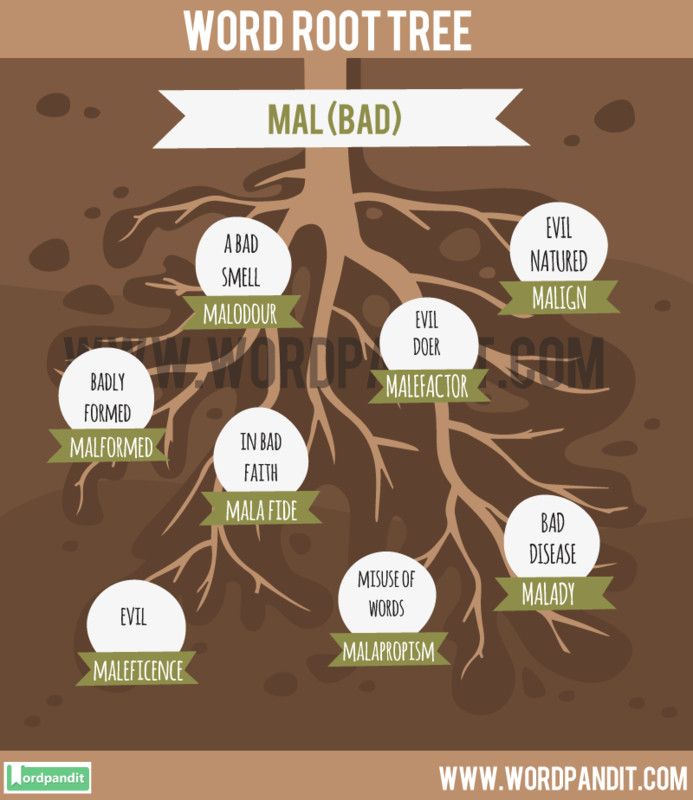 Hope these words related to Root Word Mal helped you improve your vocabulary. 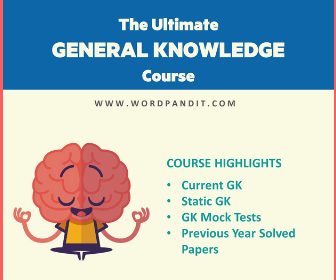 Use roots words to enhance your vocabulary and remember more and more words. There is no such word malabsobtion, it might be malapropism. Thanks for the input. We have corrected the typo.